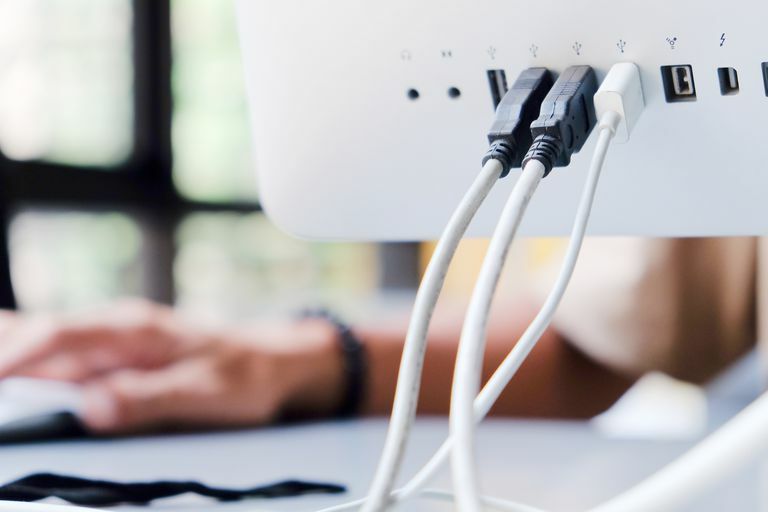 Whether you’re hooking up a USB flash drive, headset, printer, or even your smartphone, you expect your USB devices to just work when you plug them in. That’s the beauty and simplicity of USB, or universal serial bus, which is designed to allow devices to be connected and disconnected at will, often to both Windows and Mac computers, without a whole lot of hassle. When your USB ports suddenly stops working, the problem can always be tracked down to either a hardware or software failure. Some of these problems are the same across both Windows and Mac, while others are unique to just one or the other. Sometimes you get lucky, and the easiest solution ends up fixing the biggest of problems. And when the problem is a malfunctioning USB port, the easiest fix is to restart your computer, or simply turn it off and then turn it back on again. When the computer has finished restarting, go ahead and plug in your USB device. If it works, that means the problem has sorted itself out, and you don’t need to worry about it. A lot of things get refreshed under the hood when you restart a computer, which can actually fix a whole lot of different problems. If you aren't that lucky, then you'll want to move on to more complicated fixes. USB is pretty robust, but the fact is that these ports are wide open whenever you don't have a device plugged in. That means it's pretty easy for debris, like dust or food, to get wedged inside. So before you do anything else, take a close look at your USB port. If you see anything stuck inside, you'll want to shut your computer down and gently remove the obstruction with a thin plastic or wooden implement like a toothpick. In some cases, a product like canned air can be useful in blowing obstructions out of a USB port. Just be careful not to shove the obstruction further in. USB ports can also fail due to a loose or broken internal connection. One way to test this is to insert your USB device and then gently wiggle the connection. If it briefly connects and disconnects, then there is a physical problem with either the cable or the USB port. If you feel a great deal of movement when you gently wiggle the USB connector, that indicates it may be bent or broken off the board that it’s supposed to be connected to. And while it is sometimes possible to fix this type of problem, you may be better off taking it to a professional. If restarting didn't help, and the USB port looks okay physically, then the next step is to figure out whether you're dealing with a port, cable or device failure. Most computers have more than one USB port, so a good way to rule out a single broken port is to want to unplug your USB device and try it in a different port. If your device starts working when plugged into a different port, then the first port probably has a physical problem that needs to be fixed if you want to ever rely on it again. USB cable failures are more common than USB port failures, so make sure to swap in a different cable if you have one handy. If your device suddenly starts working, then you know that the problem was a broken wire inside the other cable. If you have another computer or laptop handy, then try plugging your USB device into it. This is an easy way to rule out a problem with the device itself. If your USB device springs to life the moment you plug it into your backup computer, then you know for sure that you’re dealing with a USB port problem. If you don’t have a spare computer, but you do have an extra flash drive laying around, or any other USB device, then try plugging that in before you move on to anything more complicated. If your other device works just fine, then you’ll know that your ports are in good working order. In this case, you may need to fix or replace the device that failed to connect. If your USB ports still don’t work after restarting and trying different combinations of devices, cables, and computers, additional steps to fix the problem are more complicated and specific to either Windows or Mac. There are two things you can do with the device manager in Windows to get USB ports working again. Some of the steps may be slightly different depending on your version of Windows, but the following steps work on Windows 10. Right click on the name of your computer, and then left click on scan for hardware changes. Wait for the scan to complete and then check your USB device to see if it works. Right-click on the first USB controller in the list and select uninstall. Repeat step 5 for each USB controller you find. Turn your computer off and then back on again. Windows will automatically reinstall the USB controllers, so check to see if your device works. Press and hold shift + control + option and then press the power button. Release the keys and power button all at the same time. When the Mac starts back up, the SMC will have reset. Check to see if your USB device works. Press the power button and hold it for at least five seconds. Reconnect the power adapter and start the computer. Although less likely, there is a chance that updating your system could solve your USB port problems. This process is different depending on whether you’re using Windows or OSX. Right click on the first USB controller in the list. Left click on update driver. Repeat steps 5-7 for each USB controller in the list. Restart your computer and check to see if your USB device works. Click Updates on the toolbar. If any updates are available, click on update or update all.